Oak Brook Park District patrons can expect to see some familiar faces back at the Family Recreation Center as two former part-time employees have stepped into full-time roles. The agency has welcomed Liz Gnippe back as its new Corporate and Community Relations professional and Ryan Husch returned as the Family Recreation Center Facility Supervisor. The positions became available when two employees relocated out of state. 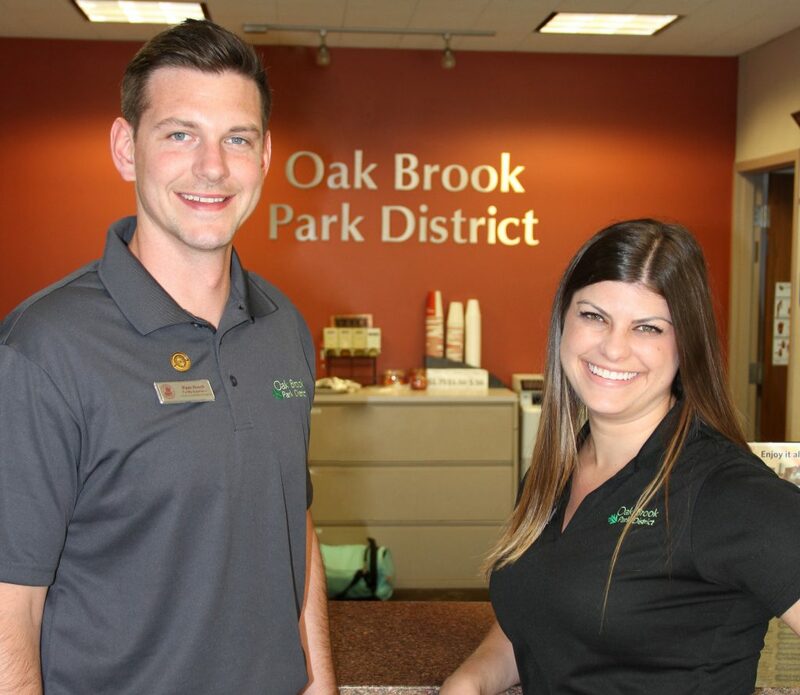 “We knew we had big shoes to fill, but both Liz and Ryan have great institutional knowledge, experience, and enthusiasm for Oak Brook Park District and its patrons, so the transition has been smooth,” said Dave Thommes, Director of Recreation and Facilities. Liz Gnippe, grew up in Hinsdale and worked her way up the part-time ranks at the Family Aquatic Center from 2007-2014 where she served as a lifeguard, swim instructor, swim lesson supervisor, and pool manager. She also worked special events for the park district. Liz graduated from Hinsdale Central in 2008 and earned her Bachelor’s Degree of Arts in Communication from the University of Illinois at Chicago in 2012. She began her professional career as an executive assistant at the Hinsdale Wellness House in 2012 where she organized public relations, social media, community outreach, and special events. In 2014, she accepted a position as an administrative assistant at the Gurnee Park District and was hired on as their marketing specialist in 2016. Ryan Husch also has a long, formative history in parks and recreation. While in high school, he held pool maintenance and score keeping jobs at the Lisle Park District and was even a cart attendant at the district’s golf course. He was hired at the Woodridge Park District in 2007 where he worked everything from summer camp and after school programs to preschool programs and was eventually promoted to assistant facility manager. 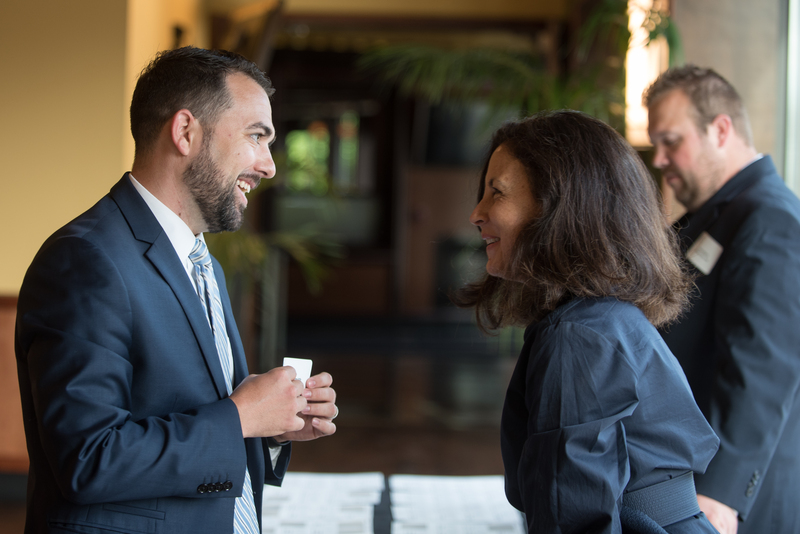 According to Laure Kosey, Oak Brook Park District’s Executive Director, professional development is a priority and the park district works to develop high quality young professionals through in-house job training, cross training, and cultivating an atmosphere of accountability. “Our vision is to provide people in our community the opportunity to be their very best every day, and that includes our staff,” she said. This training philosophy is applied to the 200-215 young people the Oak Brook Park District employs in a part time capacity each year. From lifeguards and camp staff to parks maintenance and customer service staff, the skills young workers learn at the park district can help jump start their careers. “We know that if we put the time in to develop strong, well-rounded employees, we will have access to some of the highest quality professionals to choose from when full-time positions become available,” said Laure.